I just returned from Zion National Park - shooting the fall colors. I was still a bit early for the main valley, but the subway section (photos to come soon) and the narrows were very nice. 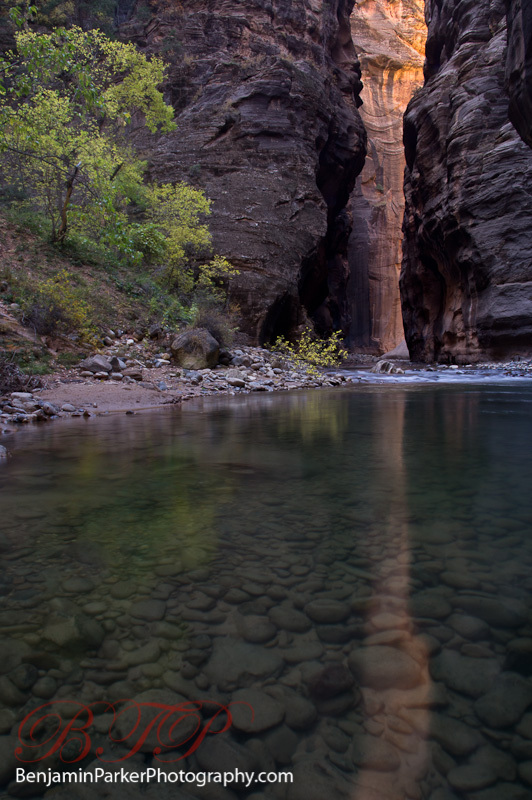 Attached is a picture from the narrows.